Having evolved to meet a changing trade, a thriving Dumfries mart draws buyers and sellers from far and wide. Howard Walsh reports. Since the 1870s, there have been auction marts in the market town of Dumfries, the capital of south west Scotland. The present mart was built in the 1950s originally to handle large numbers of dairy cattle and was extensively modernised and extended some 20 years ago to accommodate its current busy cattle and sheep sales business. 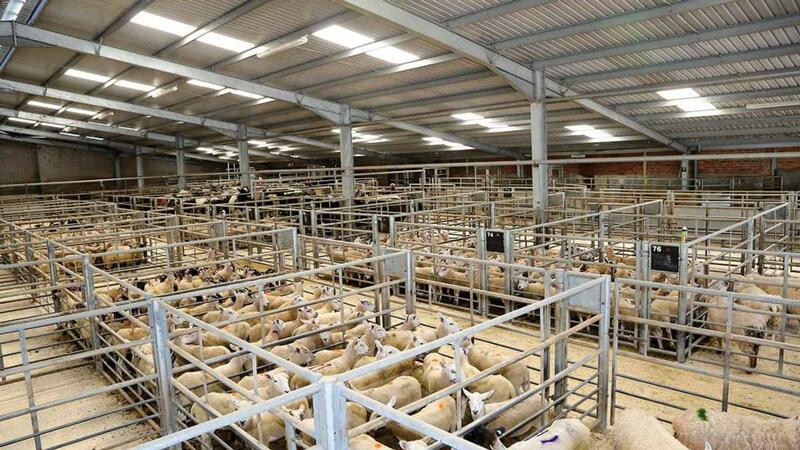 Part way along the A75 from Carlisle to the port of Stranraer, amid the rolling countryside of the Dumfries and Galloway region, the market is under the same operational umbrella as Longtown mart around 30 miles to the south east. It is run by C. and D. Auction Marts and the Dumfries site is owned by majority shareholders in C. and D., the Thomson family of Thomson Roddick and Laurie, the longest established family-owned independent firm of auctioneers and valuers in Scotland and the north of England. A smaller market than Longtown, but very well supported, Dumfries draws its sellors mainly from the Borders to Stranraer and northwards into Nithsdale and South Ayrshire. On a Wednesday, which is primestock and cull cattle day, there will be up to 140-head of cattle, most of them cull cows. Depending on the season prime sheep numbers run from about 800 up to about 1,500 and there can be anything from 300 to 1,000 cull ewes. 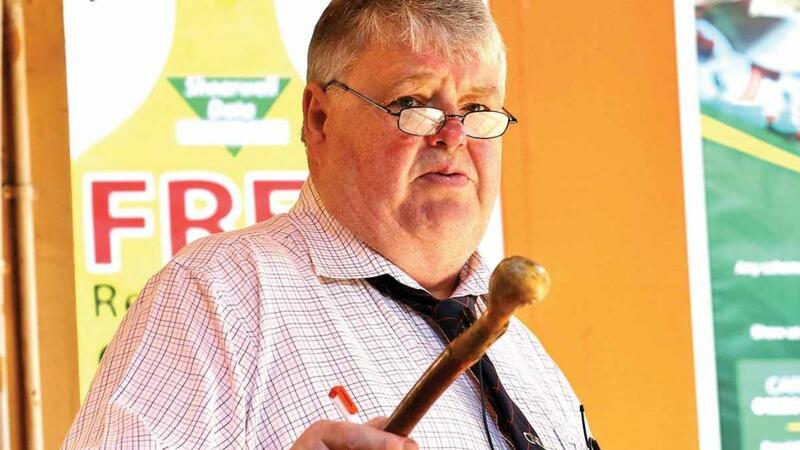 Harry Begg, head auctioneer and a familiar figure at Dumfries for almost 40 years, says: “Like practically every other market, we have seen prime cattle numbers gradually reduce, with increasing retailer influence on the processing sector’s operations. 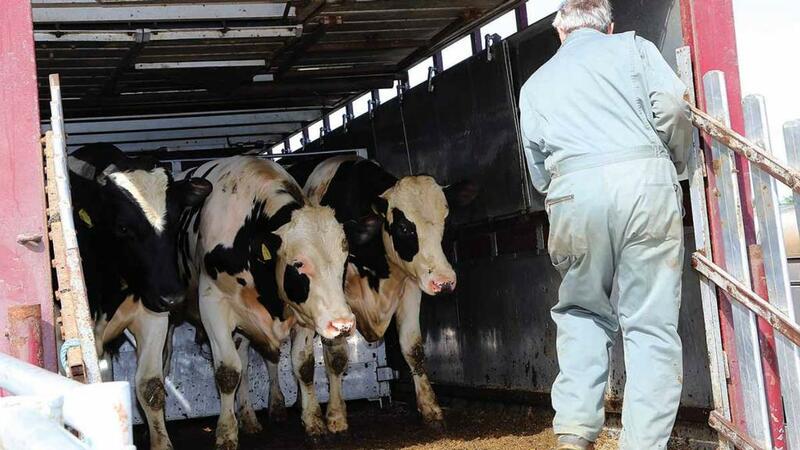 “But we continue to have a strong cull cow following, both vendors and buyers, and in fact, some of the cull cows will cross the Irish sea for slaughter in Northern Ireland. The bi-weekly store cattle sale on Mondays draws between 200- and 400-head for most of the year, but up to 800-head in the autumn peak selling season. Periodic special sales of organic cattle are also held. “Buyers come from as far afield as the West Midlands and north east Scotland. Some of the big finishers in the north east of England also regularly attend. “We also sell young calves on a Monday and in autumn we have two main suckled calf sales. In spring we have very successful special sales of breeding cattle which will see some 160-170 cow and calf outfits penned, mainly heifers with young calves at foot. On top of that there will be about 250 bulling heifers and up to 20 stock bulls. There are two ram sales in October when between 250 and 500 come under the hammer. There are rarely delays in unloading at Dumfries, the well laid out premises have six higher level docks for wagons, and two lower level for trailers and most of the lairage is under cover, although there are some outdoor pens. Everything is now sold through the ring – one main ring, in fact, plus a smaller calf ring. One of Mr Begg’s concerns is the need to encourage younger farmers into the industry and he says the market does what it can to encourage them. “I believe this is one of farming’s biggest challenges. We have the two suckled calf sales in the back-end and we support the Dumfries and Galloway YFC’s over-wintering competition whereby club members can buy their chosen animals outright, or we are happy to stand them until the animals come back through the ring in April. However, it is not all cattle and sheep at Dumfries. The market stages two horse sales each year and officiates at two sales of working collies at Moffat, both in the spring and back-end of the year. The annual Ervie pedigree Hereford bull sale is also a feature of the firm’s calendar. The popular market cafe at Dumfries is run by Jane Batey and Ruth Little who trade as Spice Caterers and provide the same facility at Longtown. The mart works closely with the firm’s land agency division, C. and D. Rural to provide a service for the sale of farms and rural property throughout the south of Scotland.